Unless you are from Japan, the area of Shinbashi is likely unknown to you. This is because the city is crowded to the brim with business offices, something that does not attract tourists. 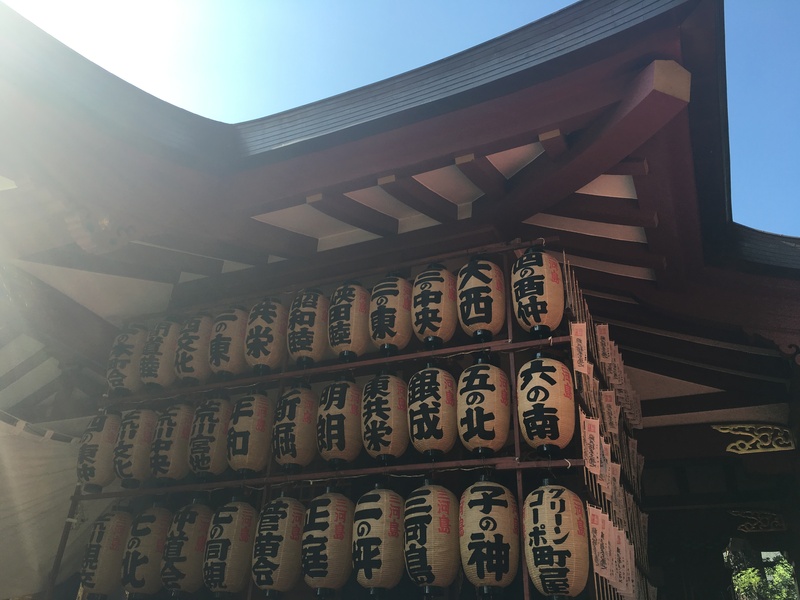 However, despite Shinbashi’s crowded business-world atmosphere, it actually holds a beautiful Shinto shrine called Karasumori. 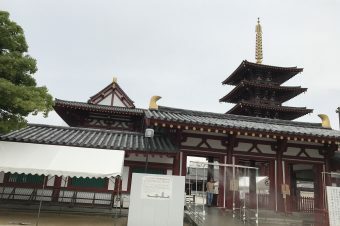 At the time when the Karasumori Shrine was built, the area surrounding it was a thick pine forest cuddling the sands of Edo Bay (now called Tokyo Bay). The forest was lush and grew quickly, so many birds lived and nested there. 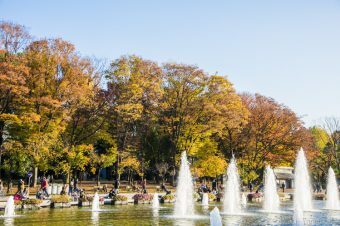 The name Karasumori comes from this fact. The Chinese character (kanji) for “bird” is pronounced “tori” or “karasu” (though typically “karasu” is used to say “crown”) and the kanji for “forest” is pronounced “mori.” There is even an exit at Shinbashi station that is named “Karasumorigawa” which means, “side of Karasumori,” indicating it leads to the shrine. In the year 939 was the Tairano Masakado Insurrection. 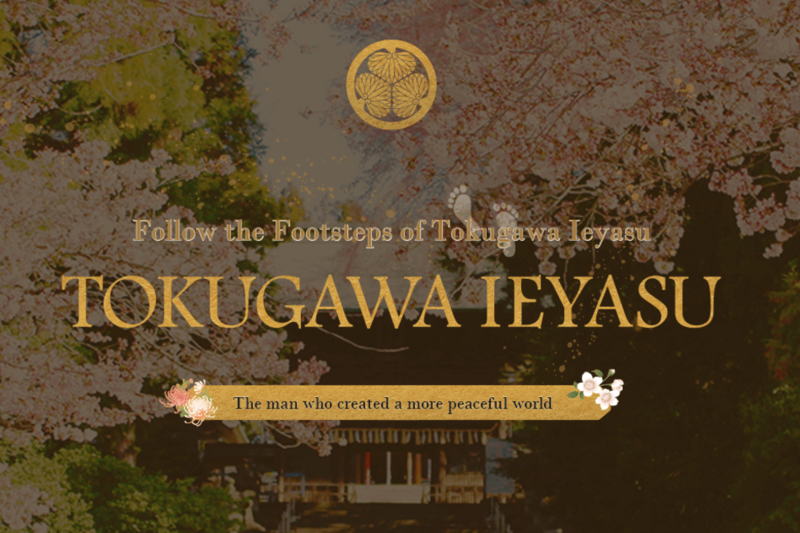 This uprising is thought to be one of the most dramatic events in the early history of the samurai. 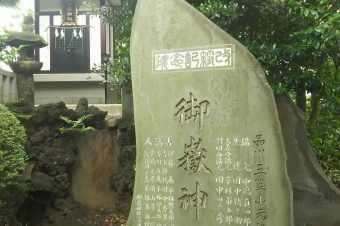 One of the shoguns at the time, Fujiwarano Hidesato, worshipped to an Inari shrine and prayed for victory in the war against Tairano Masakado. When he prayed, a white fox came to him and gave him white arrows to use when he fought. These arrows are what helped Hidesato win the fight, and therefore he decided to make a shrine in honor of the white fox. 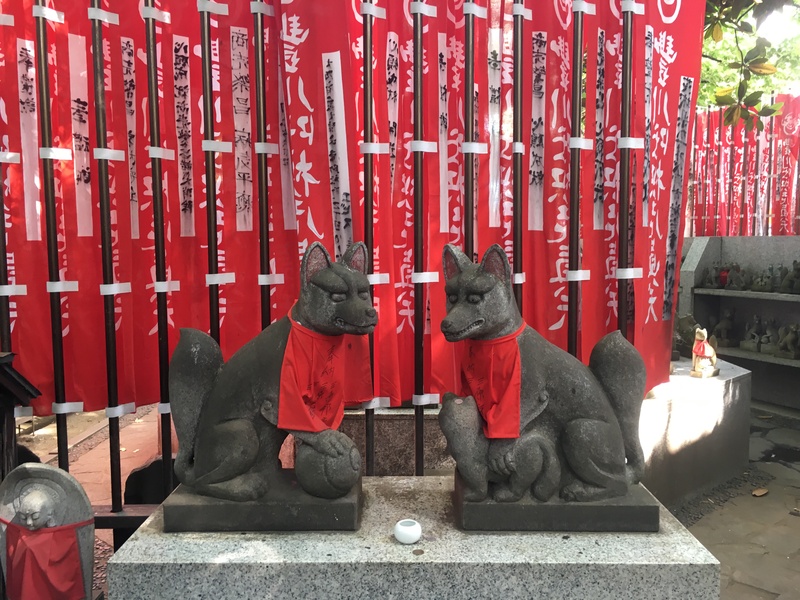 As Hidesato contemplated where to place the shrine, the white fox came to him in a dream and asked for it to be placed in a holy place with lots of birds. 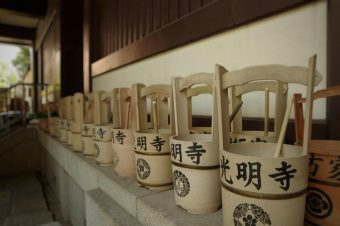 When Hidesato awoke, he traveled to the current place of Karasumori and found that it was identical to what he dreamed, and therefore decided to build the shrine there. 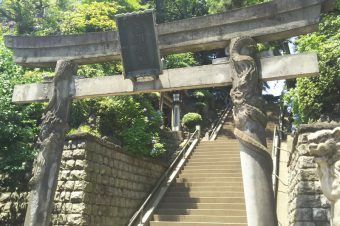 There are two very unique aspects to the Karasumori Shrine in comparison to other Japanese shrines. 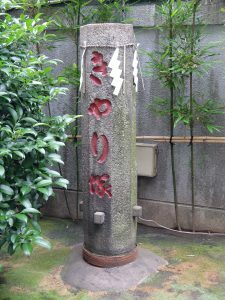 First of all, most shrines offer goshuin stamps and writings at their shrines, however they are usually in only black and/or red. However, the Karasumori Shrine offers their goshuin writings in 4 different colors: red, blue, yellow and green. The colors change depending on events at the shrine. 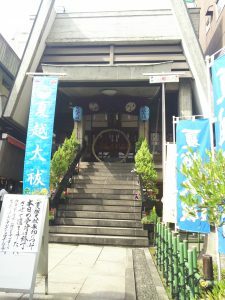 Secondly, the shrine offers a unique kind of omikuji (fortune-telling papers) that allow you to pray to the kami of the shrine. Typically, omikuji only tell you the fortune for the year, whether it be good or bad. However, the Karasumori Shrine allows you to read your fortune as well as pray for a goal to be achieved. These two details are very uncommon and make the Karasumori Shrine very unique. 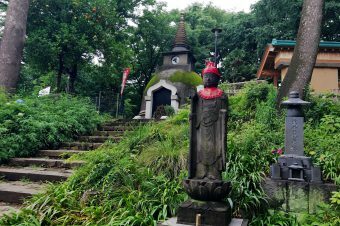 The Karasumori Shrine is definitely one to visit due to its fascinating backstory as well as its unique goshuin and omikuji. 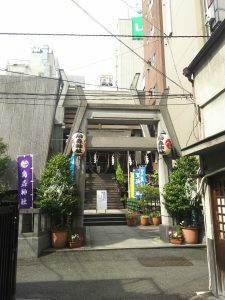 Shinbashi may be an odd area to venture to, however it is placed conveniently within Tokyo and other major areas and ultimately the shrine is worth the trip. The JR at Shinbashi station.